The term ‘upside down cake’ wasn’t used very much before the middle of the 19th century, but the style of baking probably dates back much further, probably to the Middle Ages. The early recipes for fruit upside down cakes were made in cast iron skillets on top of the stove. 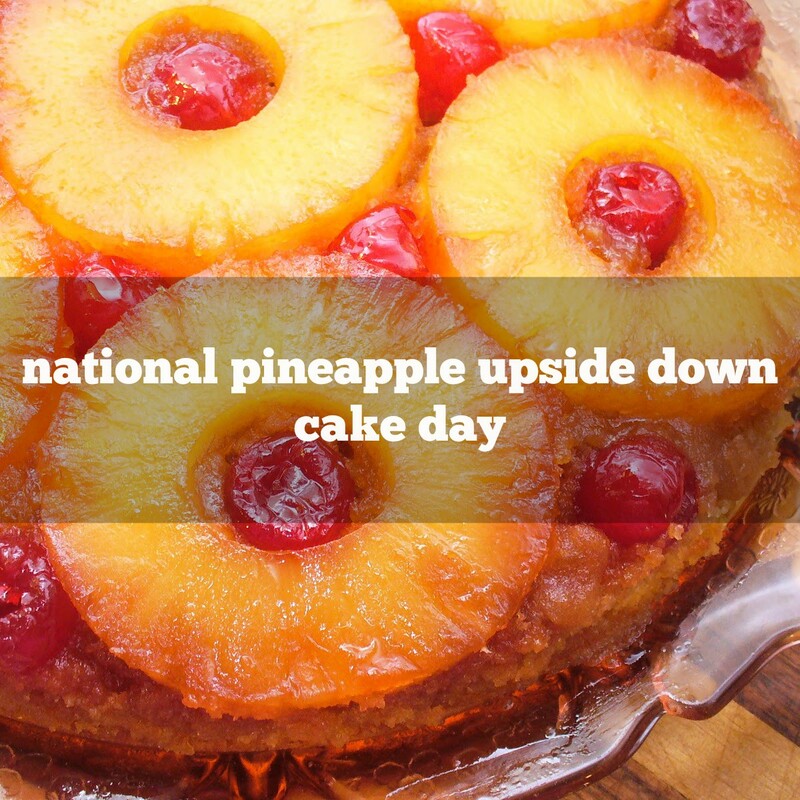 The classic American ‘Pineapple Upside Down Cake’ dates to sometime after 1903, when Jim Dole invented canned pineapple. The Hawaiian Pineapple Co. (now Dole Pineapple) held a pineapple recipe contest in 1925, with judges from Fannie Farmer’s School, Good Housekeeping and McCall’s magazine on the judging panel. The 100 winning recipes would be published in a cookbook the following year. The Hawaiin Pineapple Company ran an ad campaign in 1926 based on the fact that so many recipes for the cake had been submitted, naturally making the Pineapple Upside Down Cake even more popular. The Spanish explorers thought pineapples looked like pinecones, so they called them “Pina.” The English added “apple” to associate it with juicy delectable fruits. Pineapple, “halakahiki” in Hawaiian, meaning foreign fruit, has been grown in Hawaii since the early 1800’s. 1841 Edgar Allan Poe’s ‘The Murders in the Rue Morgue’ was published, the first modern detective story. This has nothing to do with food, but I am an avid fan of both detective fiction and Poe.